This month's challenge theme is FOR THE GIRLS. And what cuter girl is there than one who scrapbooks? I used the Crafty Lizzie digital stamp as the focal point of my card. I had the best time coloring her! 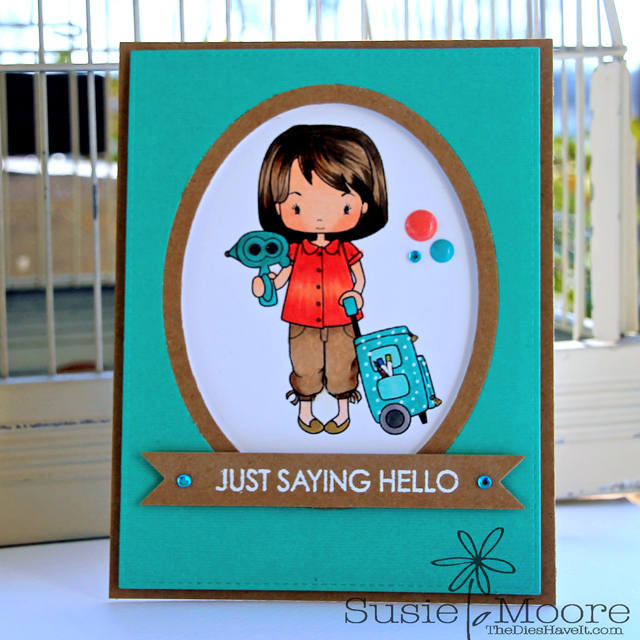 I placed her behind a dimensional framed panel and then added my sentiment on a die cut banner. Now it's YOUR turn to get creative. Click here for all the info on submitting your beautiful creation for this month's challenge. You have until March 13th to submit....but why not get started today? She is such a cutie. Love how you've colored her and the paper color you've chosen. Wonderful card.